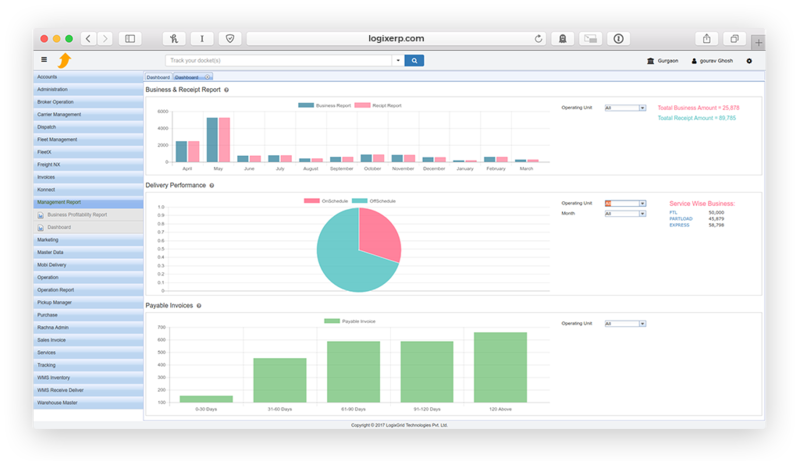 View your business and receipt report customer wise with a single click on the graph. Monitor delivery branch wise sitting in head office just with a single click. Check branch wise outstanding invoices of your company. Multi-currency accounting software with powerful receivables, payables, costing and ledger functions. Easy operation based on user’s comfortability with completely customizable invoice formats. Manage vehicles and multiple stop over trips through simplest process catering business need. Manage pickup for standard and reverse logistics through customer portal now, let your customer choose pickup type. Scanning, COD, POD, distance wise delivery estimation, auto-route suggestion. Live shipment tracking on the system , website through APIs based on multiple criteria. Multiple types of vendor management with their complete details and accounting. 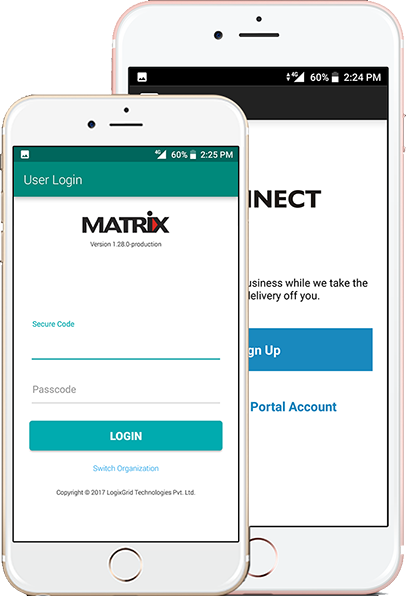 With MATRIX, logistic service providers can manage order management easily, field person can book a shipment from anywhere using mobile application. Providing employees with mobile application MATRIX, maintaining real-time information flow and giving them pickup schedule. Pickup can be done by scanning the package and shipments by mobile users. Mobile user can execute dispatch process using MATRIX mobile app. Through mobile app Trip hire sheet and trip manifest can be prepared for shipments. Mobile user can send trip manifest from one office to another. Speed-up your door delivery services. MATRIX on your worker’s device will help him scan the shipment at the customer’s doorstep, create a label, collect POD & COD, input delivery details and movement time and create invoice- all at his doorstep. MATRIX enables technologies like GPS, helps to fetch information location wise. Using W3W addressing system user can navigate to the final delivery destination in the Google Map from MATRIX mobile app. Matrix application provides essential features to manage reverse logistics effectively and maintain a strong network between the vendors, end users and the merchants. Whether payment need to be refunded or picking up returned package, MATRIX verifies the data and packages adequately to keep complete operation error free. Cash on delivery – E-Signature, POD capture, card swipe payments. Courier management – Last mile delivery, 3PL carriers, Multiple tracking history. Return to origin – Well designed process for re-scheduling and notifying clients. eCommerce API integration – Directly receive and execute orders for delivery. LogixERP is verified with international security survey. It encrypts data between the client and the server and HTTP certified which is underlying TLS. LogixERP offers Warehouse Management System with Transport Management System. 3PL provider now can manage your business from a single solution. 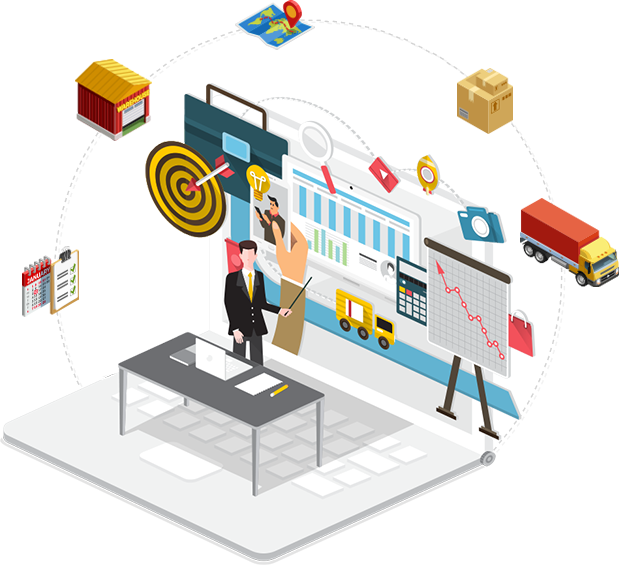 Customer portal drive logistics business to a more comfort zone, where you can offer an individual platform to your clients to do business activities like sending pickup requests, tacking and others. LogixERP can integrate with your company’s website, thus offering your end-customer to track shipments; view MIS reports; check pending invoices right through your website. LogixERP supports multiple languages to increase system familiarity along with accounting can be done with the desired currency which is an advantage for the international logistics business. Eventually when you intend to implement a system and ponder about pricing then you can be highly flexible with LogixERP pricing, counting on your use, you can pay.